Dinesh Karthik was recently named in India’s World Cup squad as a reserve wicket-keeper batsman. The news that almost had Karthik jumping with joy as he was with his wife and Kolkata Knight Riders’ CEO Venky Mysore for lunch when his father called Dipika and informed about the good news. “My journey for 2019 World Cup began two years back in 2017 when I returned to the Indian national team. When I started practicing I believed that I could be part of something special,” Karthik added. Many felt that Karthik’s World Cup selection was ruined after he was dropped from the ODI squad that played against Australia in February this year. However, Karthik cleared everything when he said that chief selector MSK Prasad already informed him when he got selected for Australia and New Zealand tour that no matter how you perform, Rishabh Pant will be given a chance against Australia’s tour of India. 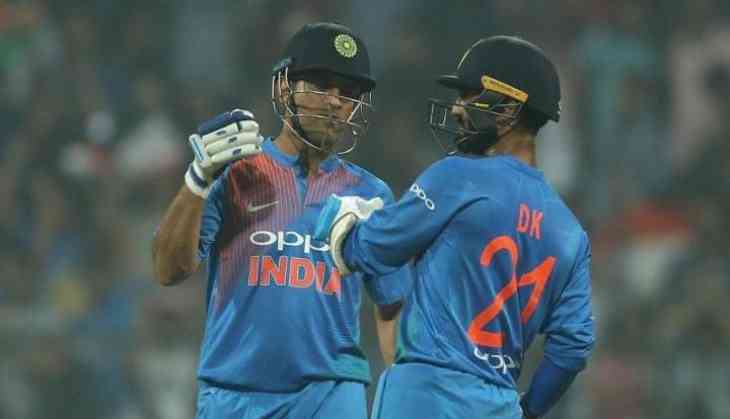 The Tamil Nadu cricketer is also elated about the fact that Vijay Shankar, who is also from Tamil Nadu will join Karthik in the team for World Cup and can go for Dosa and Idli consistently.